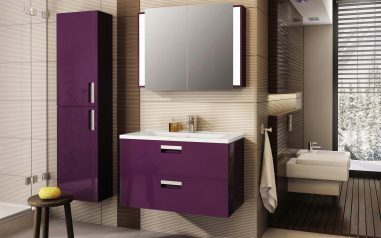 From time to time interior design change. 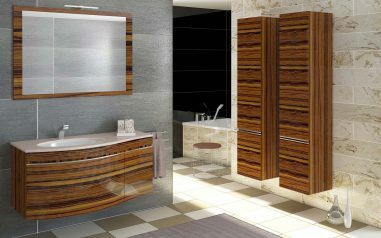 Styles which has been forgotten a long ago, become now trendy, while current stylish colours and accessories are starting to be obsolete. 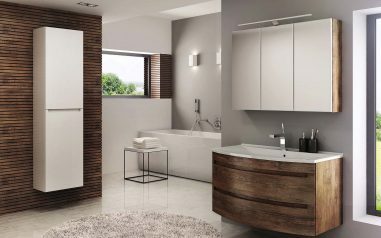 Year 2018 is the year with nature in the foreground: wooden decorations, grayness, beige,graphite and also green which efficiently livens up the interior and makes us even closer the nature. 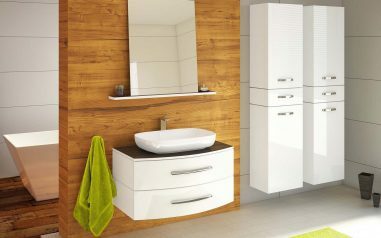 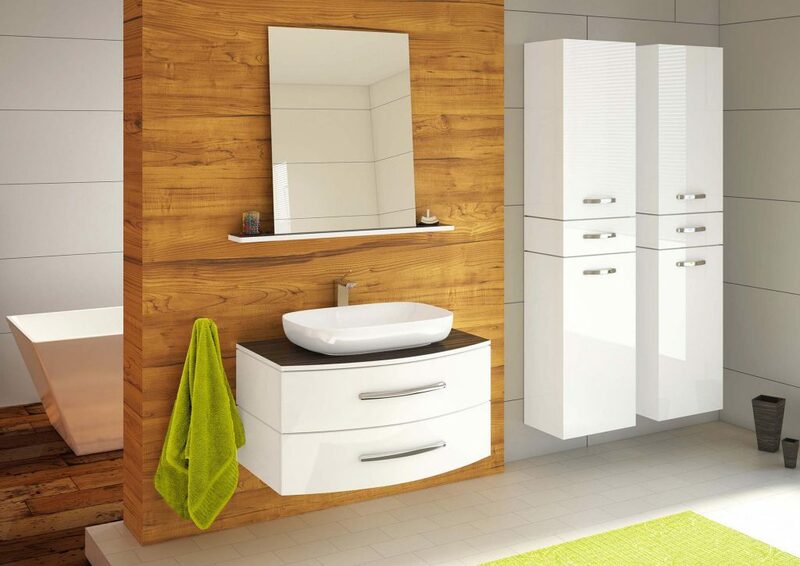 It is worth to point that the most desirable furniture are in white gloss along with wooden decorations. 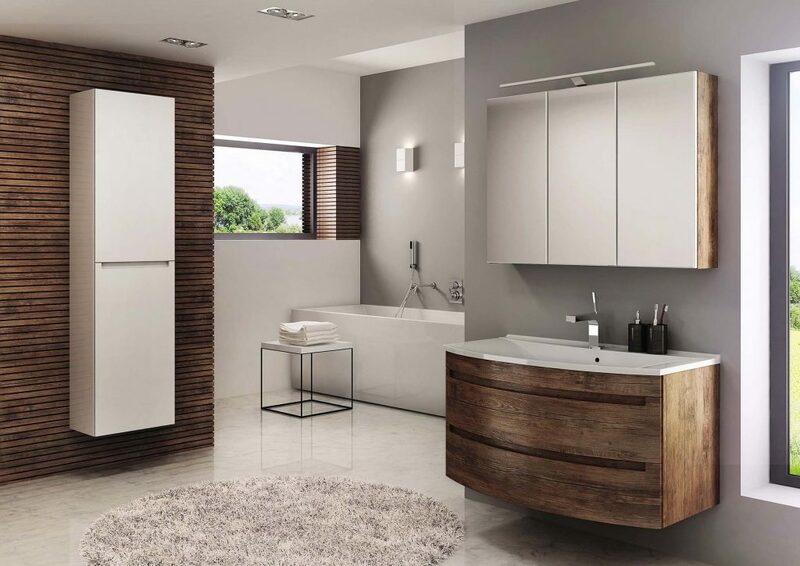 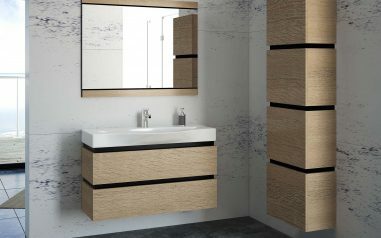 Such look is offered by one of our newest series – Aria, which has fronts in very interesting wood decors and as well in grayness. 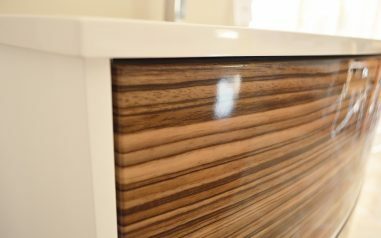 Additionally for those who is looking for something more than just a wood, we have created product with fronts in wooden shine – that gave us really original effect. 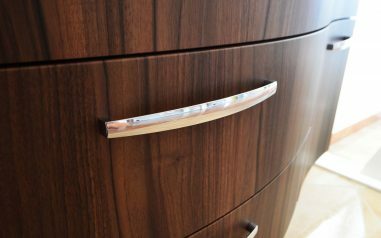 As one of the few Polish producers we have got curved furniture, which, in this year, we have enriched with interesting details, such as glass tops in various shades. 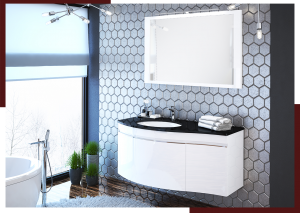 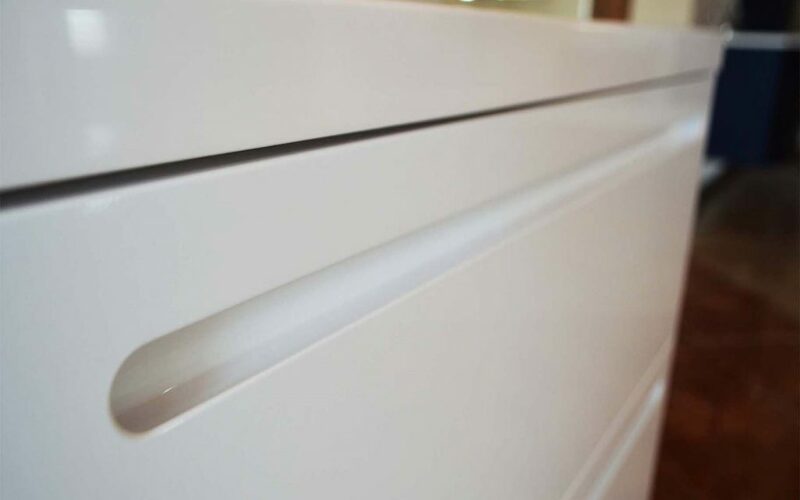 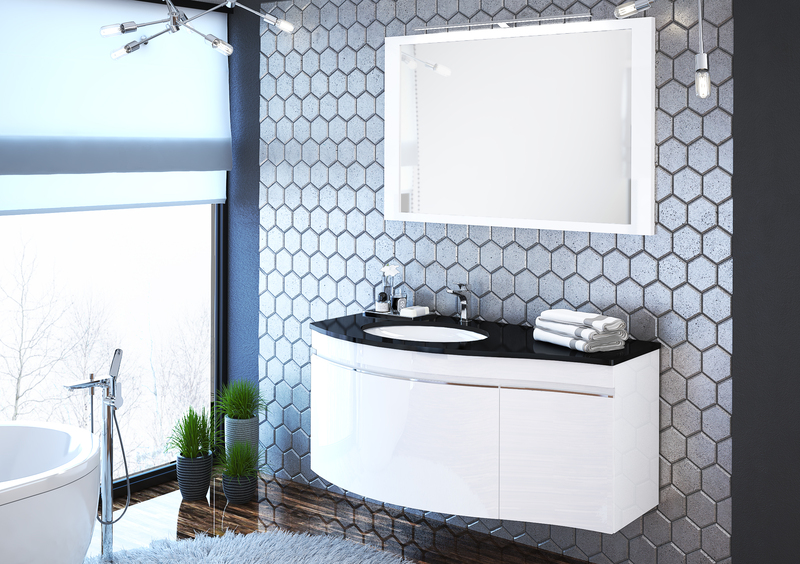 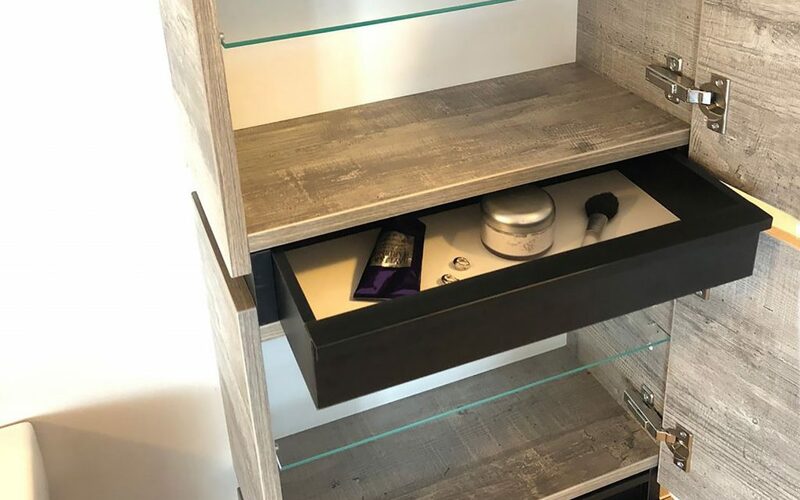 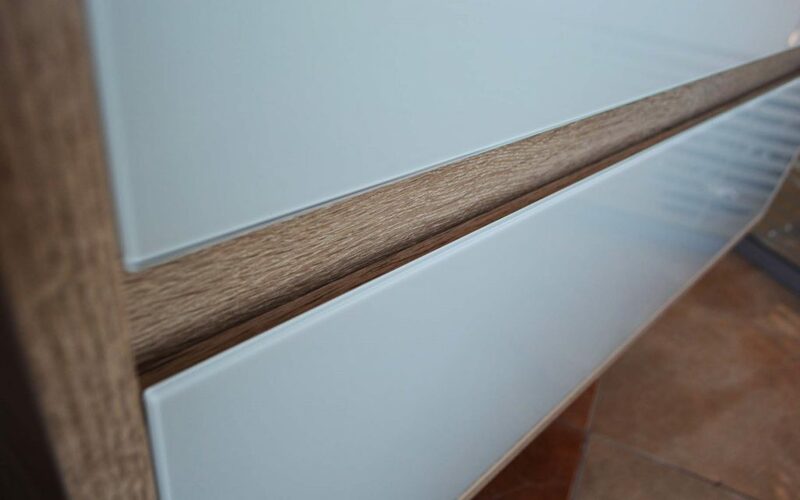 Vena Arte is one of the series in which we offer finishing of cabinets in the form of countertops from various materials: glass or MDF combined with material that is particularly resistant to attrition and scratches (HPL) for use with ceramic under countertop sink. 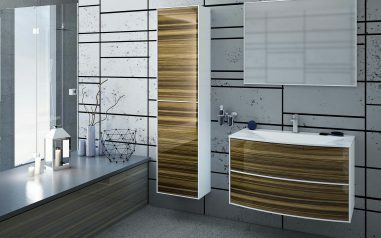 Vena Arte is available both in wood decors as well as in uniform colors. 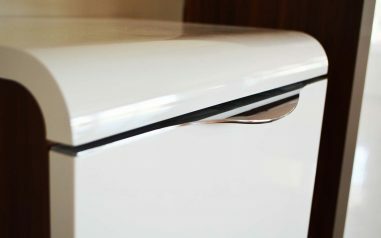 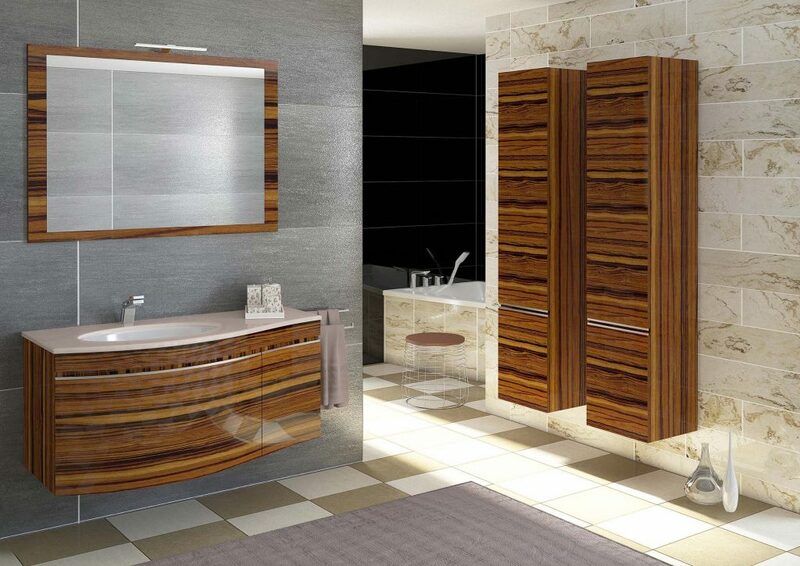 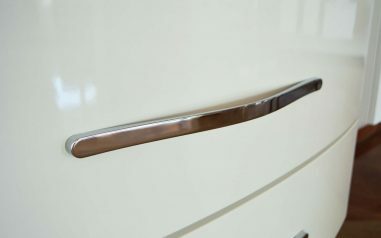 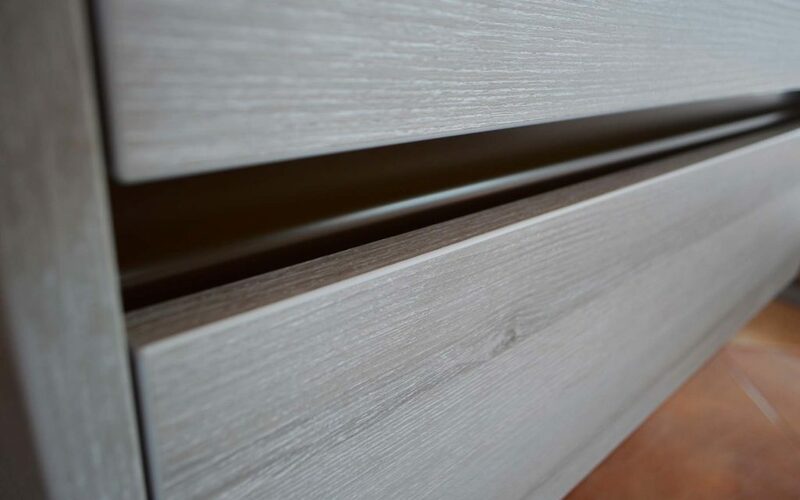 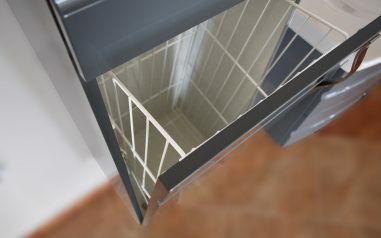 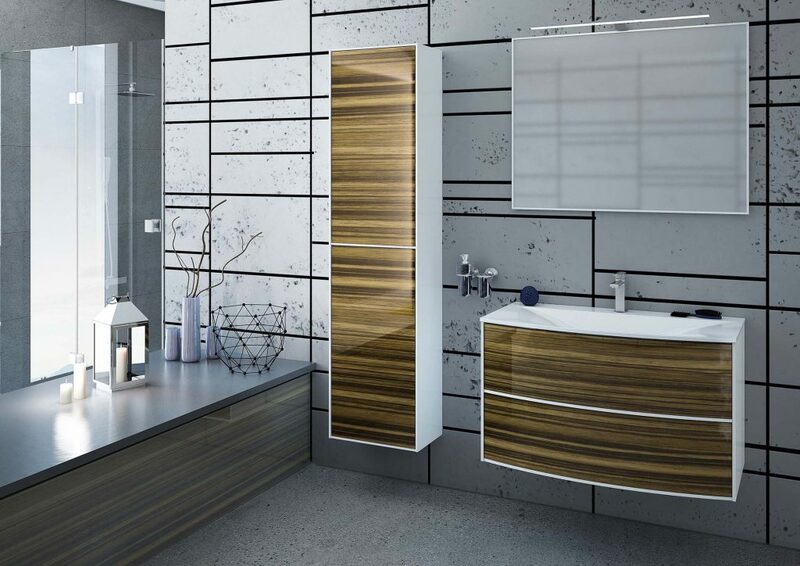 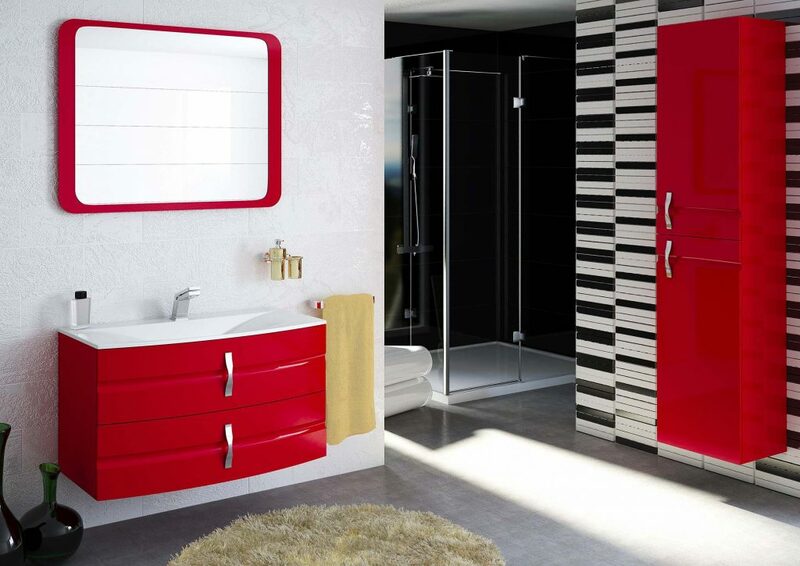 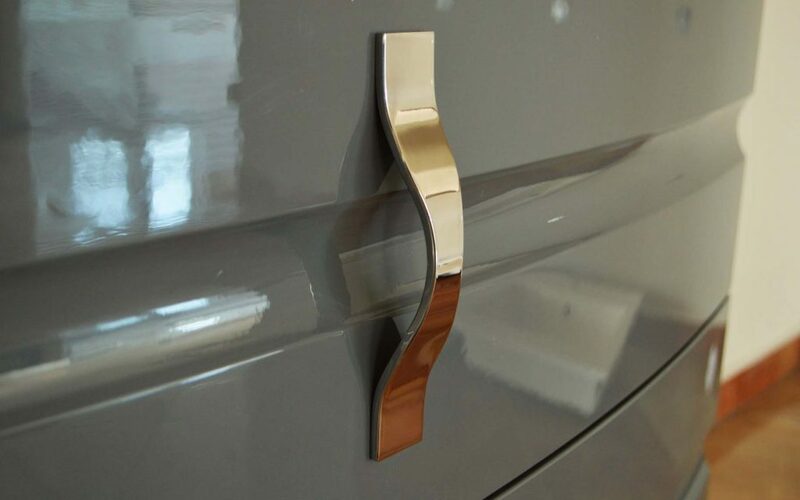 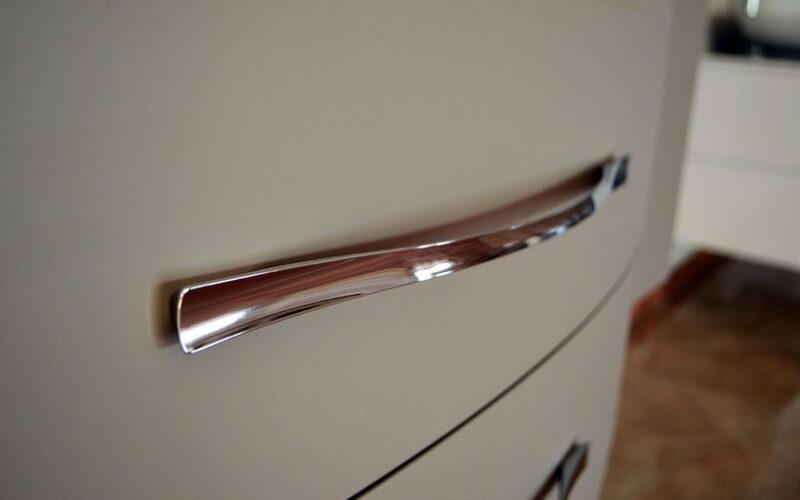 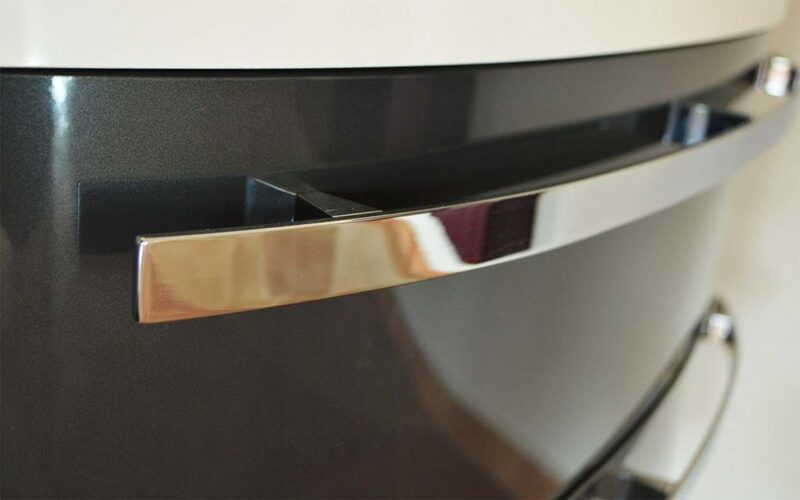 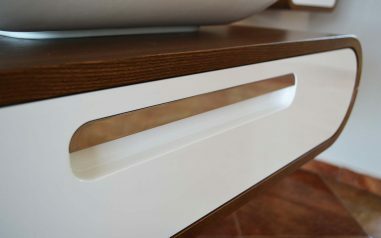 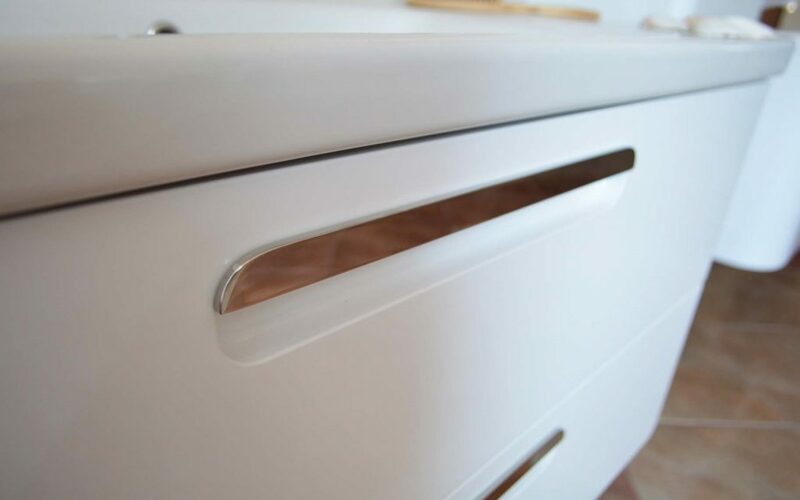 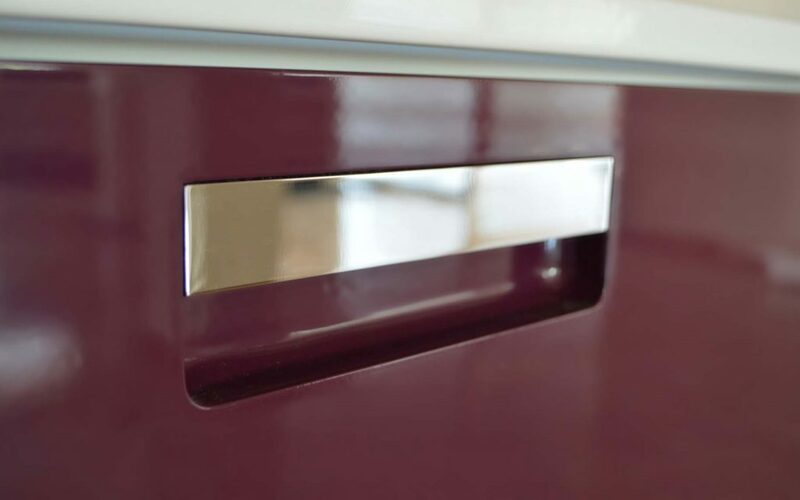 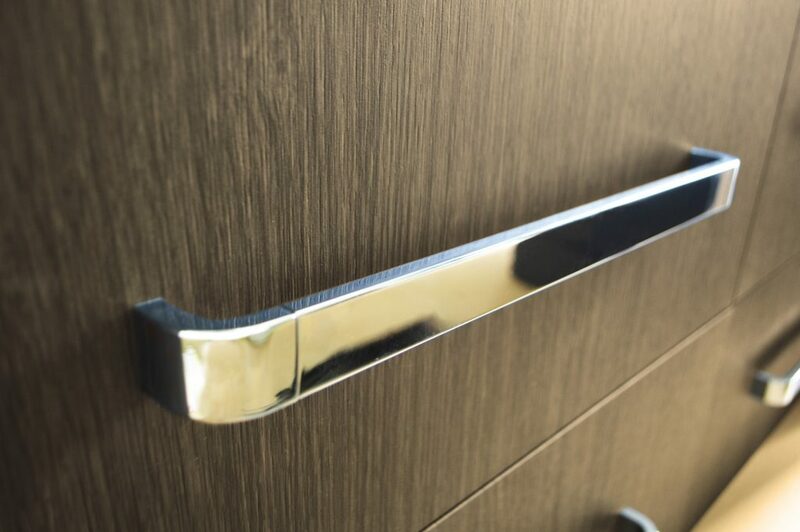 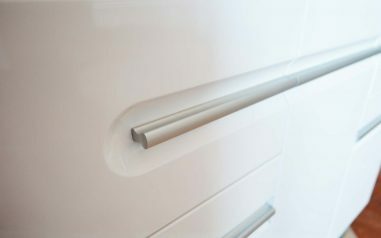 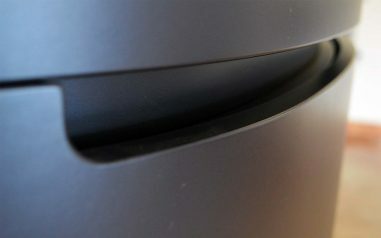 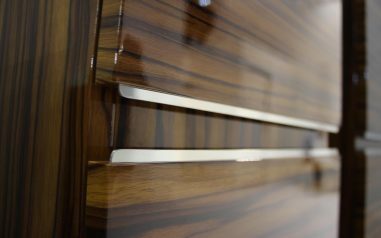 In addition, handle of the cabinet in form of delicate metal strip gives it elegance and grace. 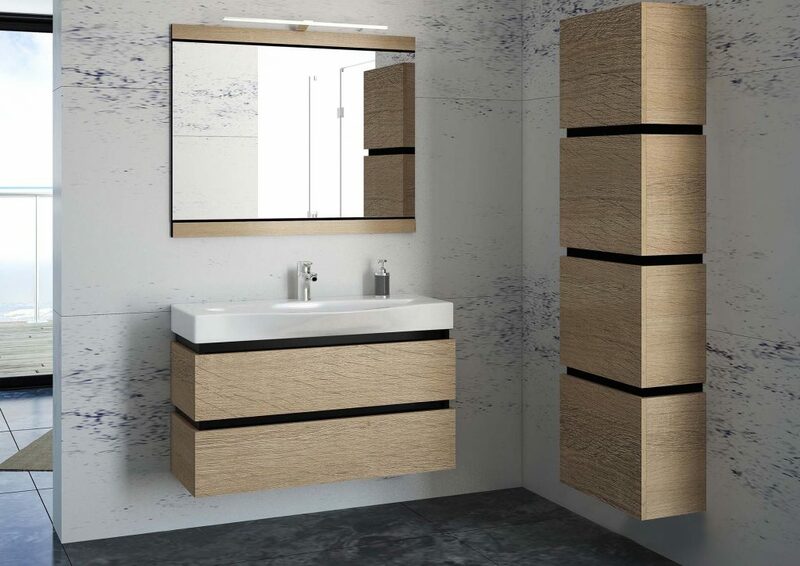 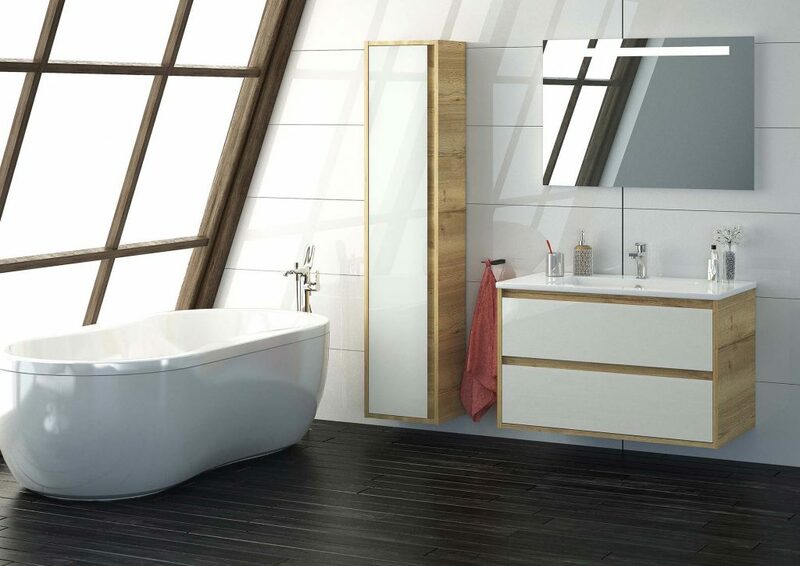 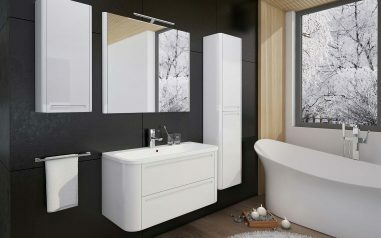 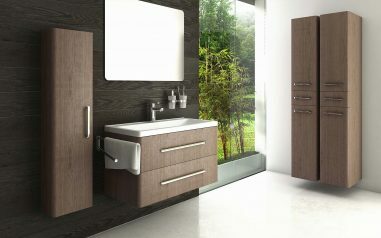 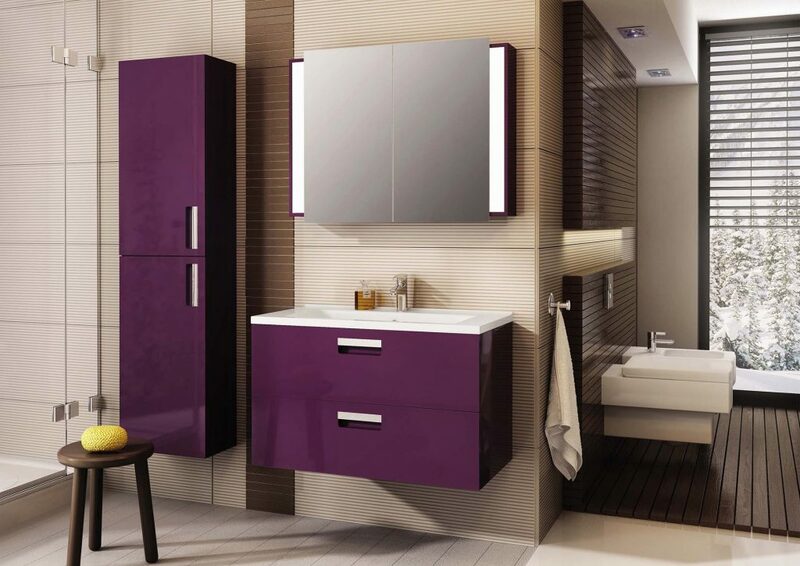 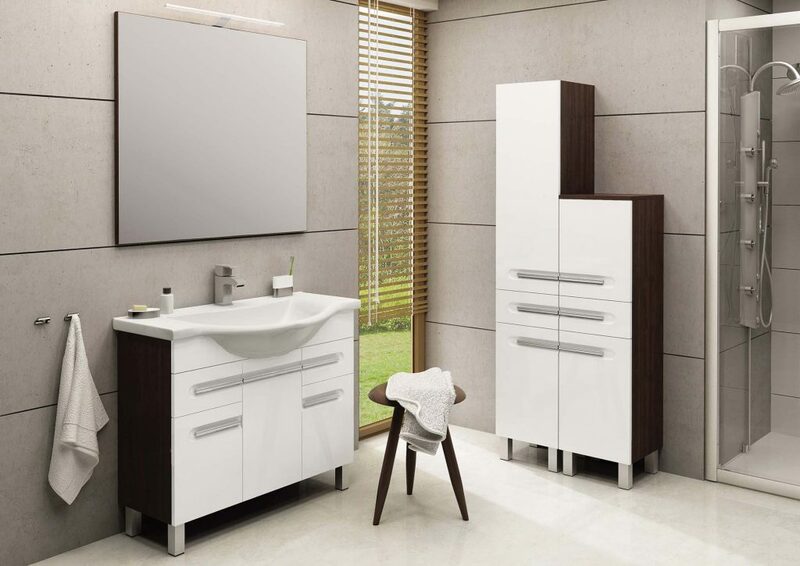 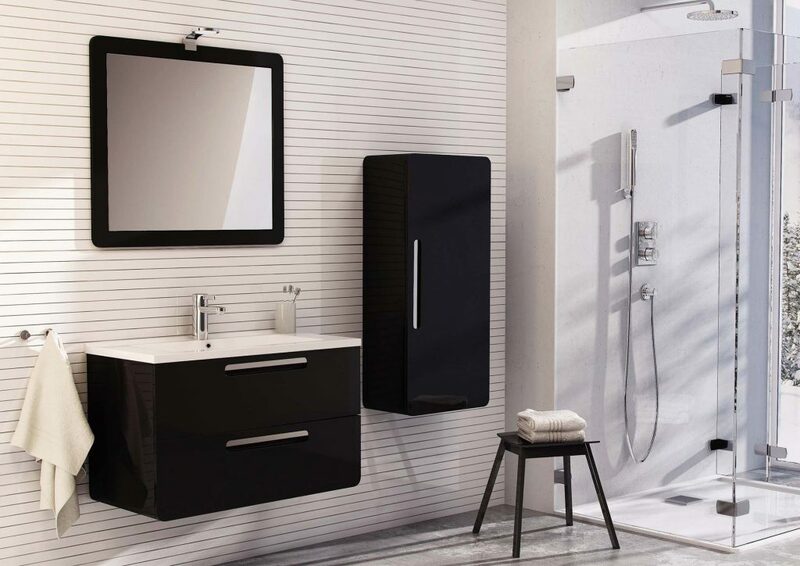 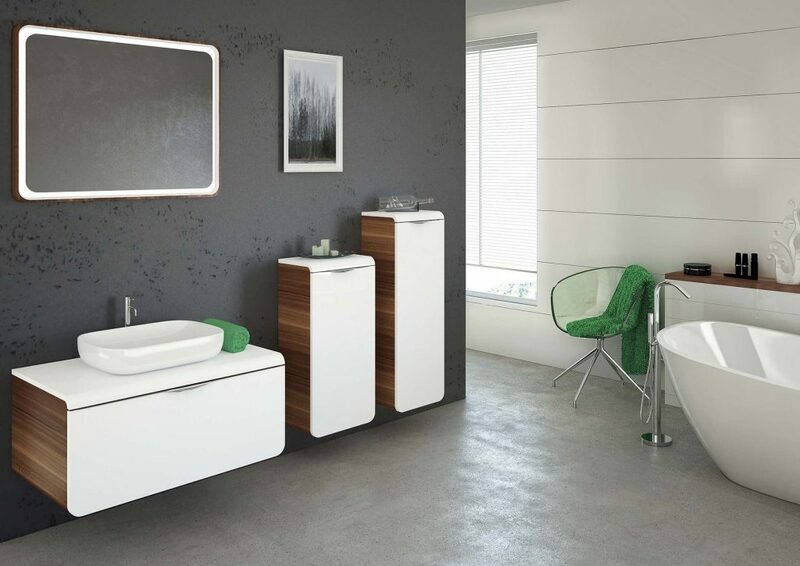 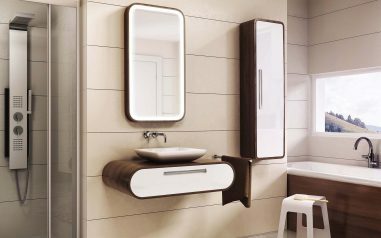 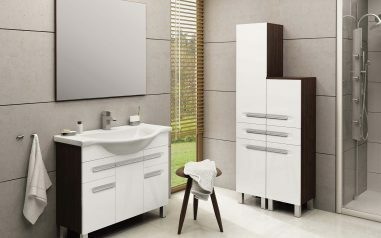 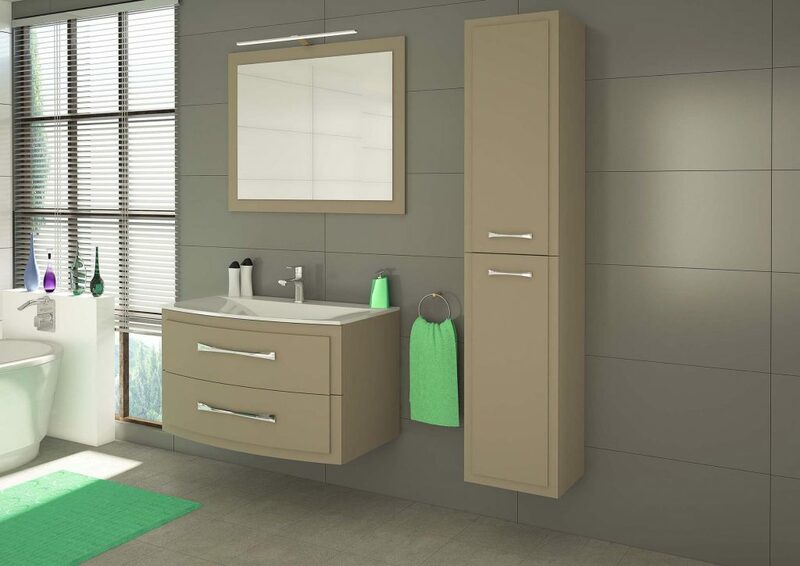 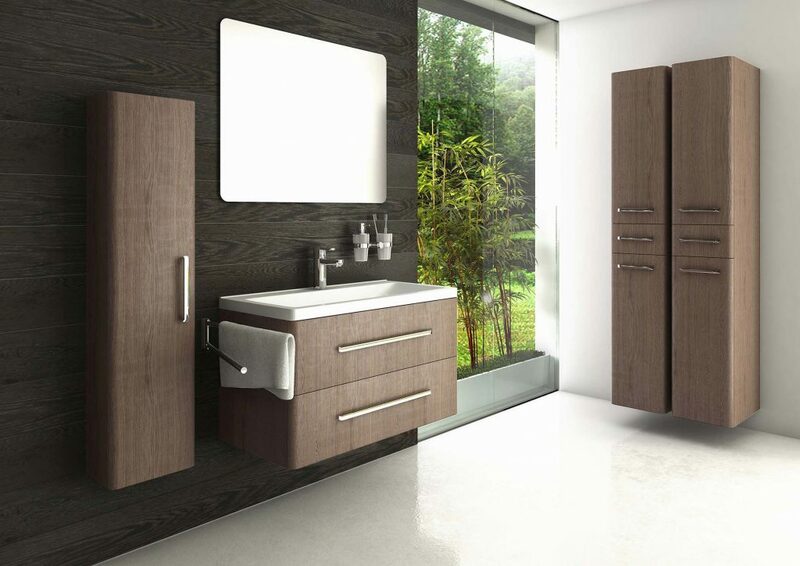 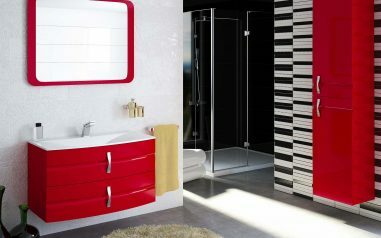 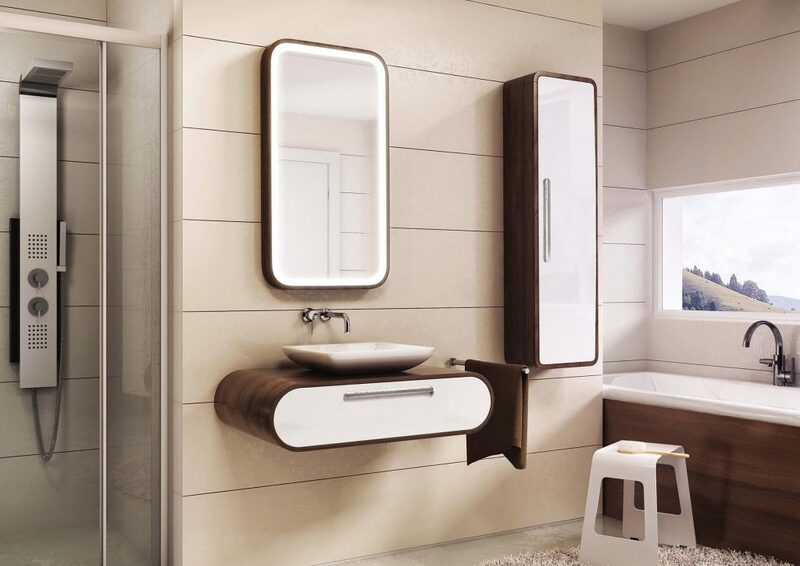 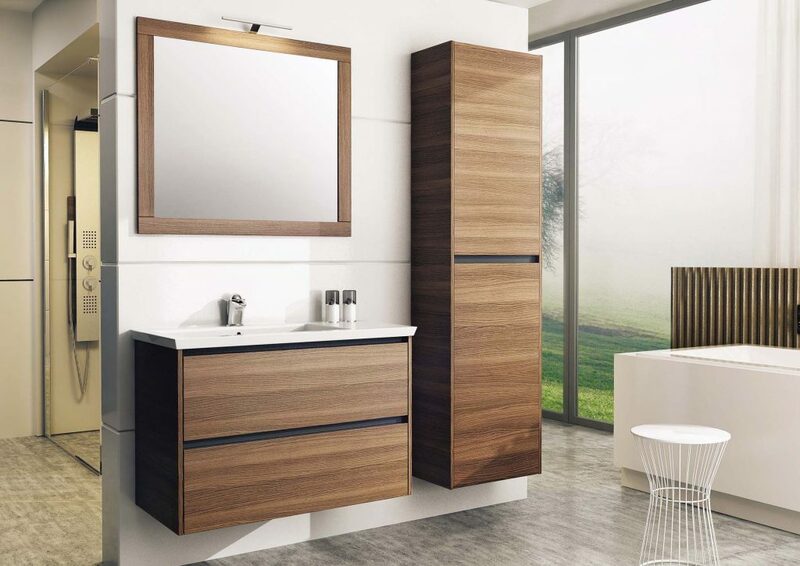 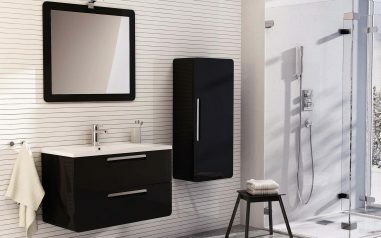 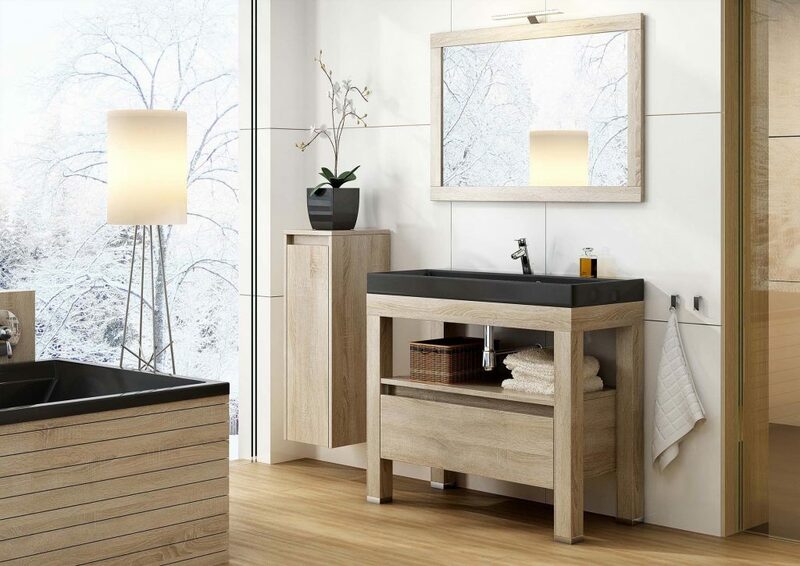 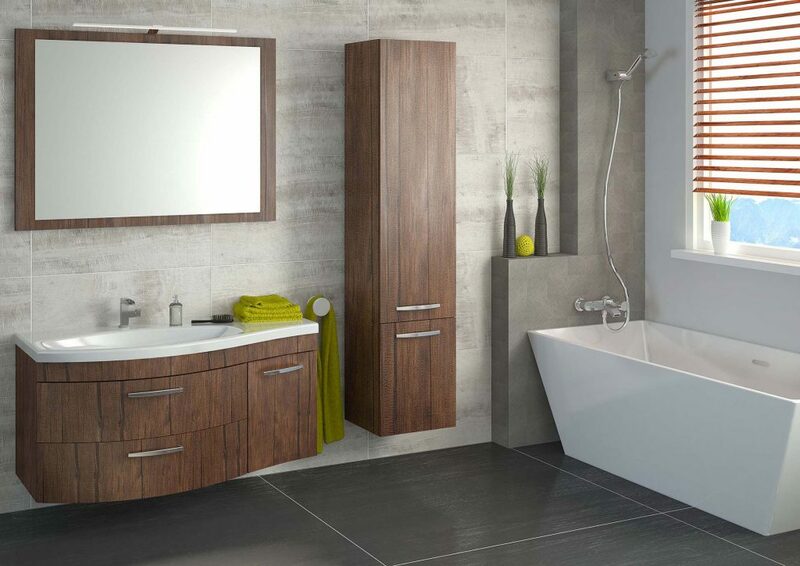 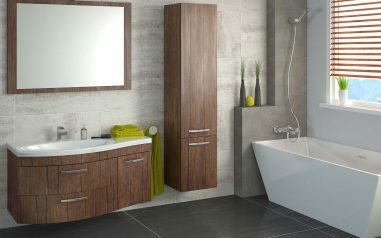 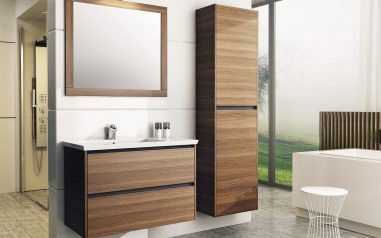 Washbasin cabinet is available in versions 80 and 112 cm, the entire series encourages with a variety of configurations. 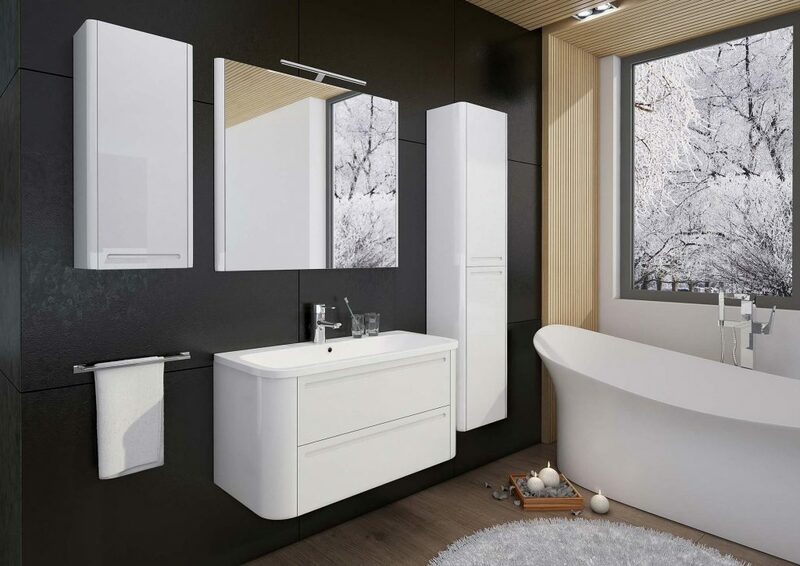 It should be emphasized that above Devo furniture series are made of MDF laminated PVC, which allows us to make various shapes with very good moisture-proof properties and high mechanical resistance. 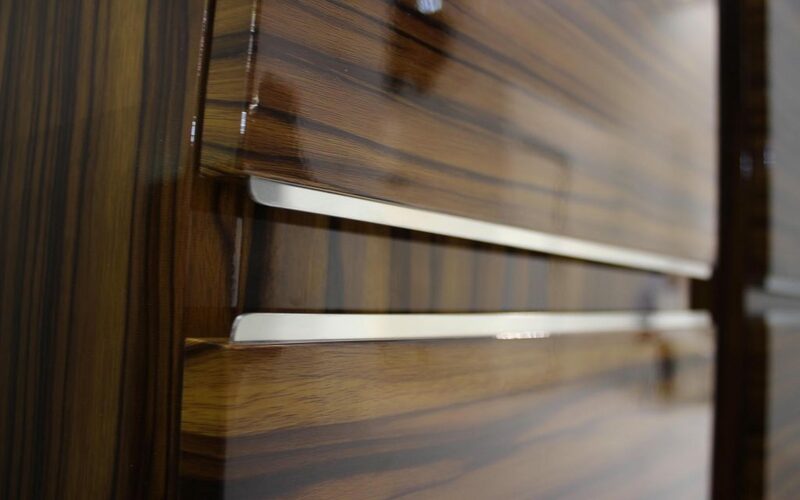 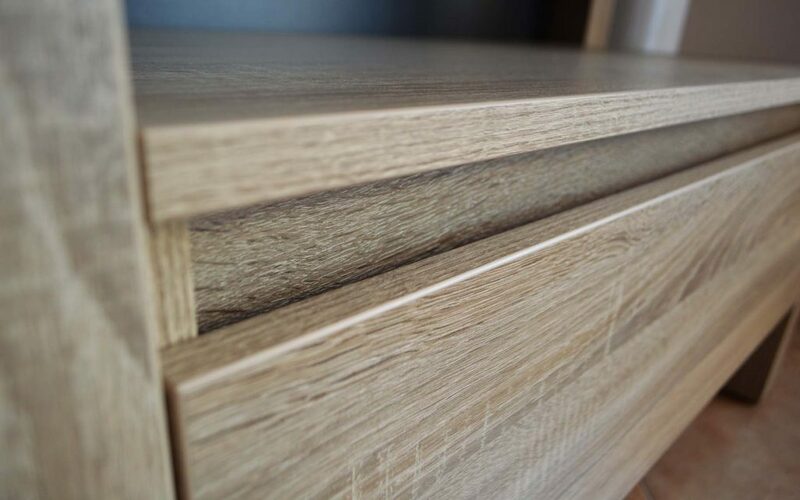 The undeniable advantage of PVC laminating technology used in furniture production is very rich color, both in uniform hues and with a faithful reproduction of the natural structure and appearance.